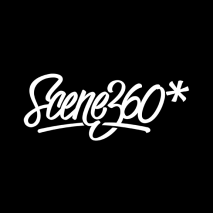 Scene360 recently had the pleasure of attending the Art Tattoo Montreal Show, a massive tattoo convention held at the beautiful and historic Gare Winsdor near the city’s downtown core. 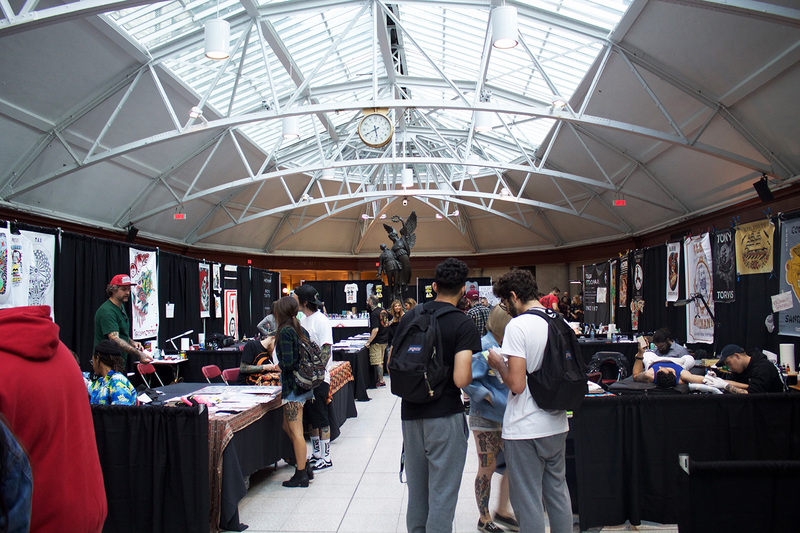 Now in its 15th year, Art Tattoo showed no signs of stopping, bringing together artists from all over the world to share and create their art in a community setting. 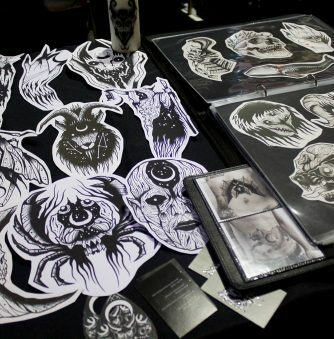 This lively event is organized by Studio Tattoo Mania’s Pierre Chapelan and his wife, Val—two people who have dedicated more than 20 years to promoting tattoo art. 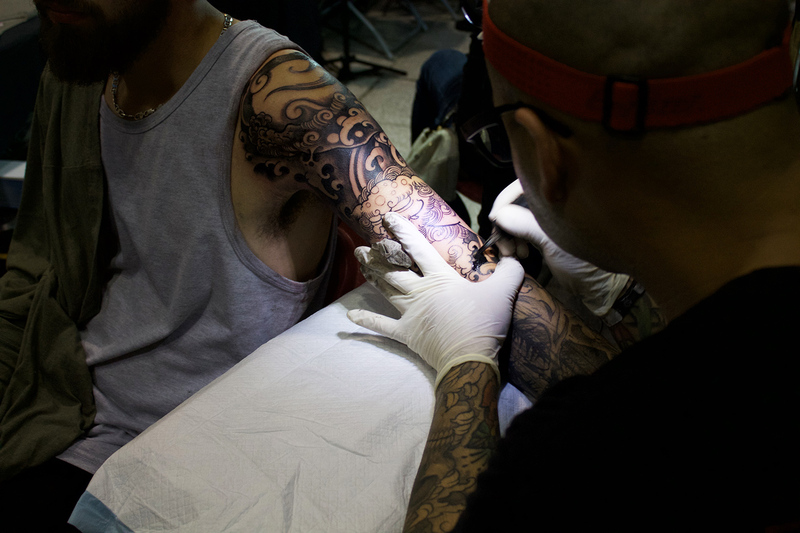 And their dedication shows; Art Tattoo Montreal is a very popular annual event that’s well known by the locals and appreciated by artists worldwide. The three lanes of booths hosted a slew artists from across Canada, such as Katakankabin, Curt Montogmery, and Emily Shoichet, as well the USA, including Chris Primm, Justin Hartman, Craig Gardyan, and Savannah Colleen Georgia. Many talented artists travelled overseas for this event, including Matt Chaos (France), Henning (Denmark), Emily Malice (England), Onnie O’Leary (Australia), and Rinzin, a.k.a Jinwoo Jung (South Korea). In addition to the production of tattoo art, local clothing and jewelry designers and vintage taxidermy vendors came to sell their curious wares, such as Catherinette Rings and The Old Cavern Boutique. 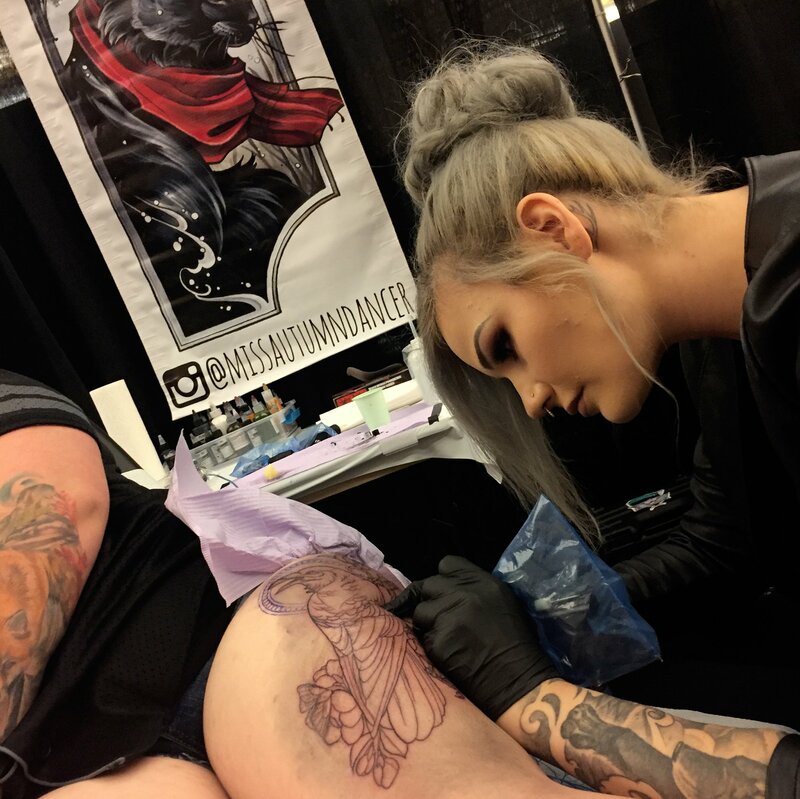 Committed to providing convention-goers with quality artists and creating a fun, educational, and creative space, Art Tattoo Montreal is well worth the visit. From neo-traditional tattoos, to traditional Japanese art, to abstract blackwork, to minimalist line work, there is something for everyone; we met several people who showed up, found a flash design they loved, and got tattooed on the spot. 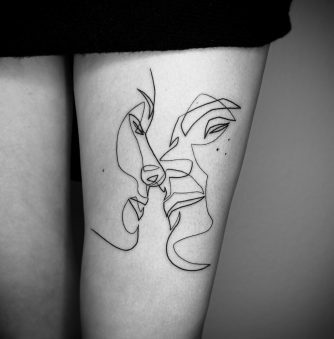 Whether you’re an artist, a tattoo veteran, or simply an appreciator of art, Art Tattoo Montreal promises to inspire you and a give you a live experience of how the skin is a canvas for endless possibilities. 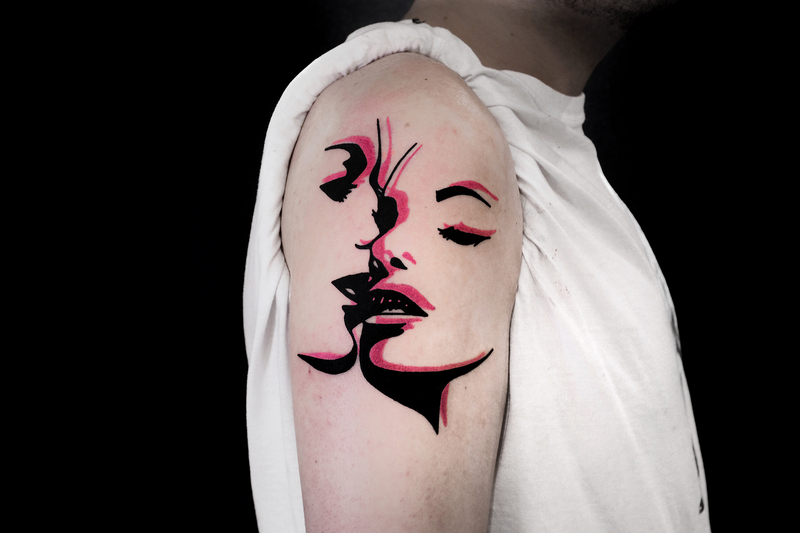 Top: Rafael Delande traveled from London to participate in Art Tattoo Montreal. Pierre Chapelan is one of the organizers of Art Tattoo, along with his wife, Val (not pictured). 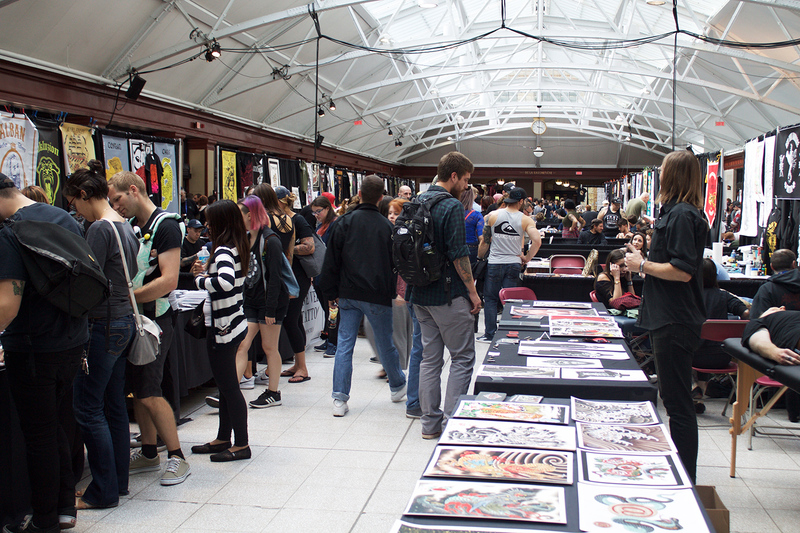 Saturday was the busiest day, with the lanes and booths packed with artists, tattoo-getters, and tattoo-admirers. 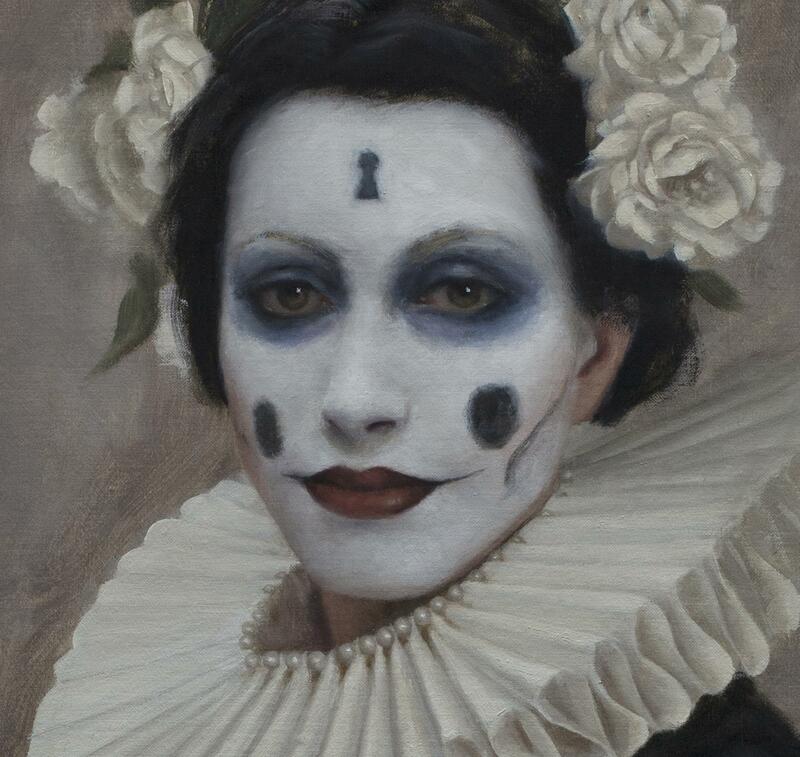 This gorgeous piece was done by Cheyenne Gauthier, a Montreal-based artist. 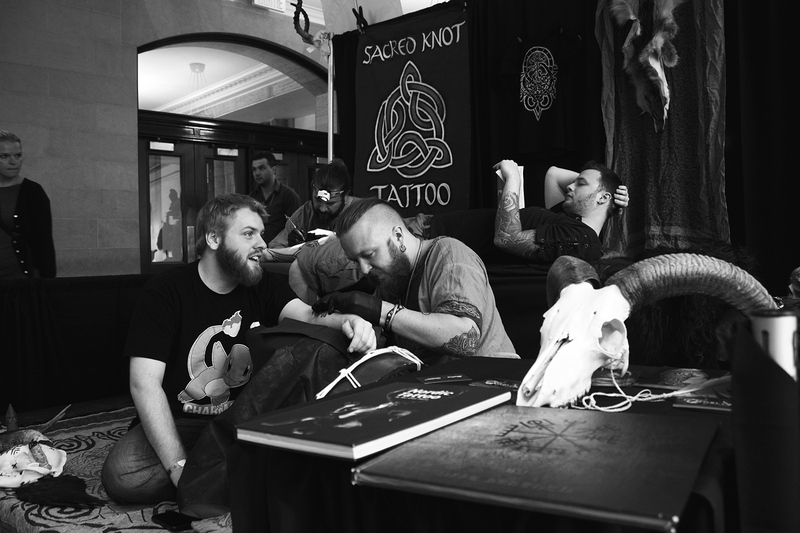 This atmospheric, pagan-themed booth was shared by Sean Parry of Sacred Knot Tattoo and Uffe Berenth. 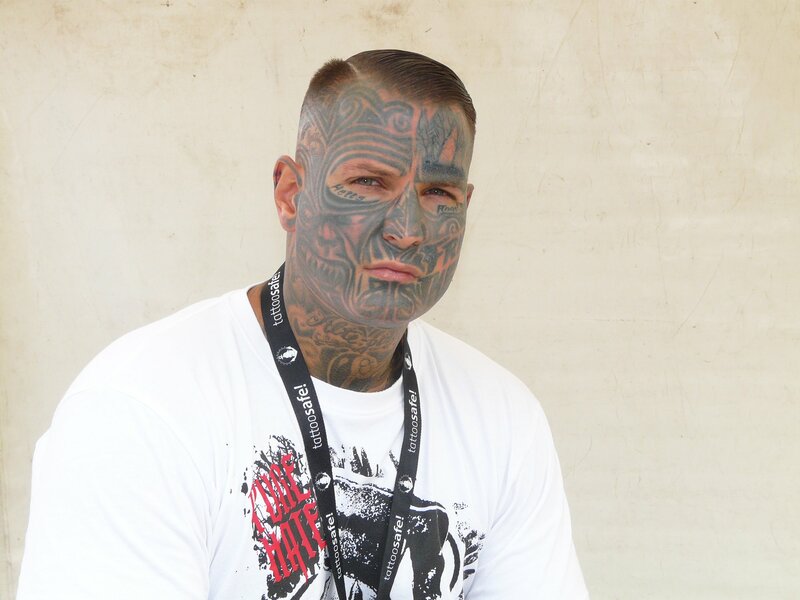 Close-up of Uffe Berenth, an artist from Denmark, doing a traditional Nordic hand tattoo. 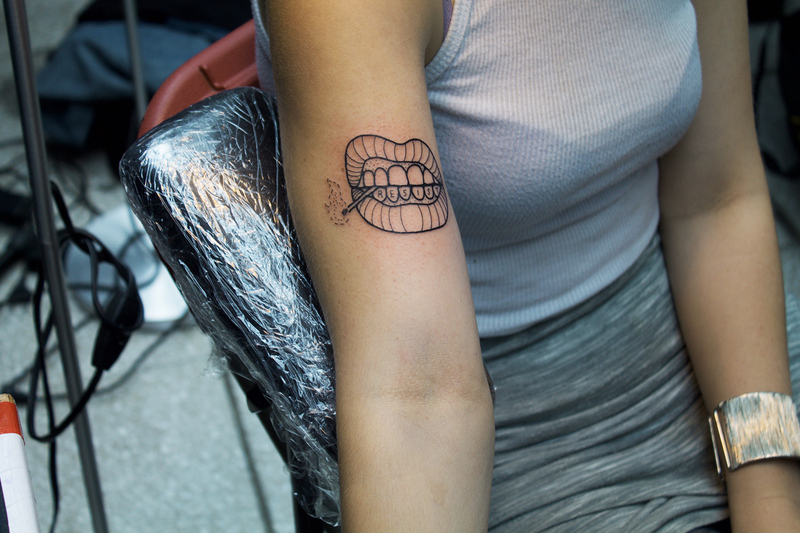 Curt Montgomery (from Toronto) doing one of his fantastic, minimalist statement tattoos. Montgomery’s piece is almost finished. Cute turtle tattoo by Winchester-based artist, Georgina Liliane. Fibs is an artist from Puerto Rico known for his Japanese style and black and gray tattooing. Close-up of the gorgeous, detailed tattoo Fibs was working on on Saturday. 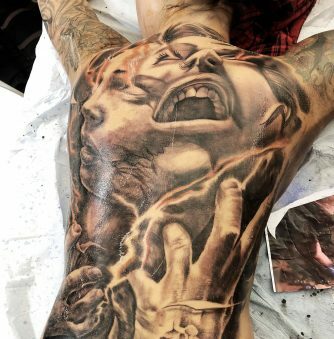 A large-scale back tattoo in progress by Fraser Street Tattoo’s Chad Woodley. 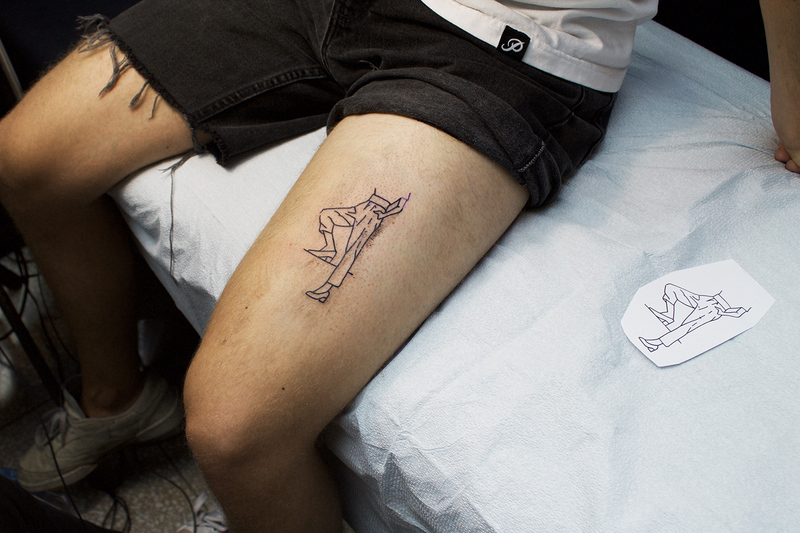 Sunday was more laid back at Art Tattoo, but creativity levels were still running high. 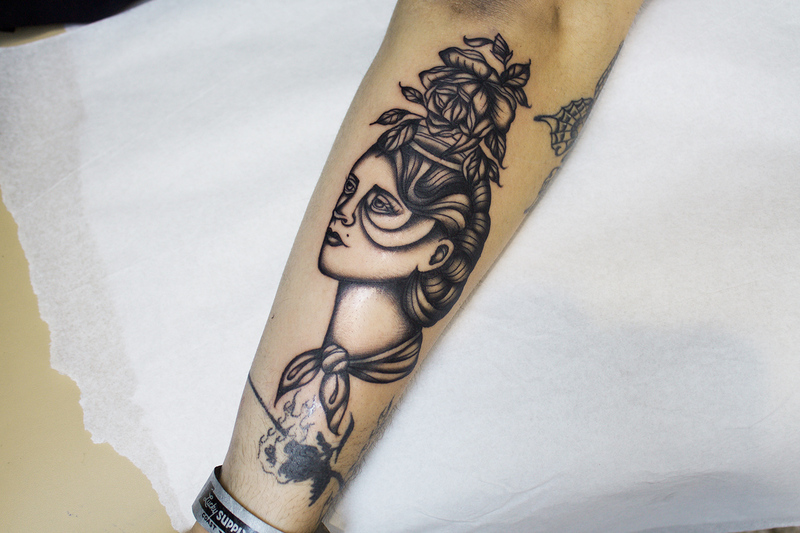 A sassy, nearly finished tattoo by Emily Malice, an artist from London. 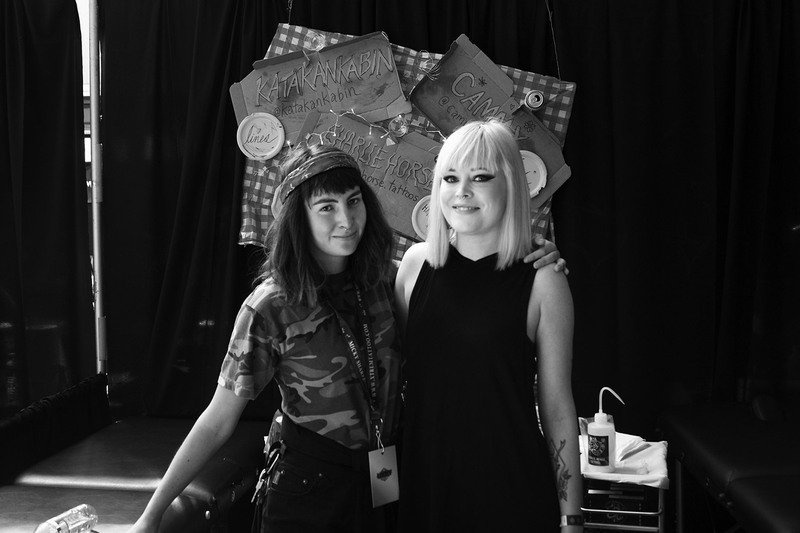 Katakankabin (left), an artist from Montreal, and Hayley Evans, Scene360’s assistant editor.